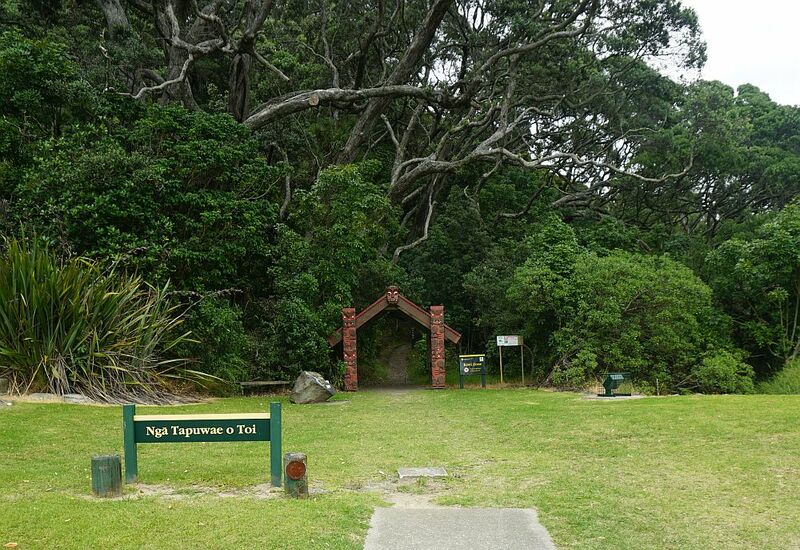 The start of the track passes through a waharoa, or carved portal, where there are information panels with details about the tracks and their history and significance to Maori. 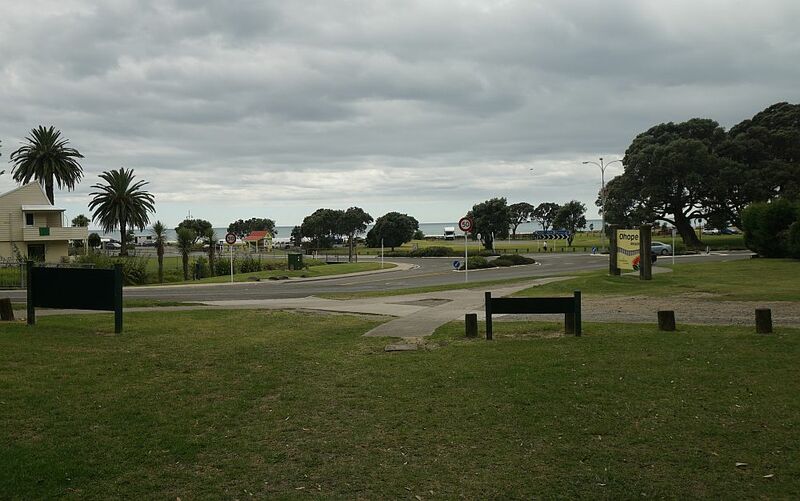 Looking back from the entrance to the road junction and the beach. 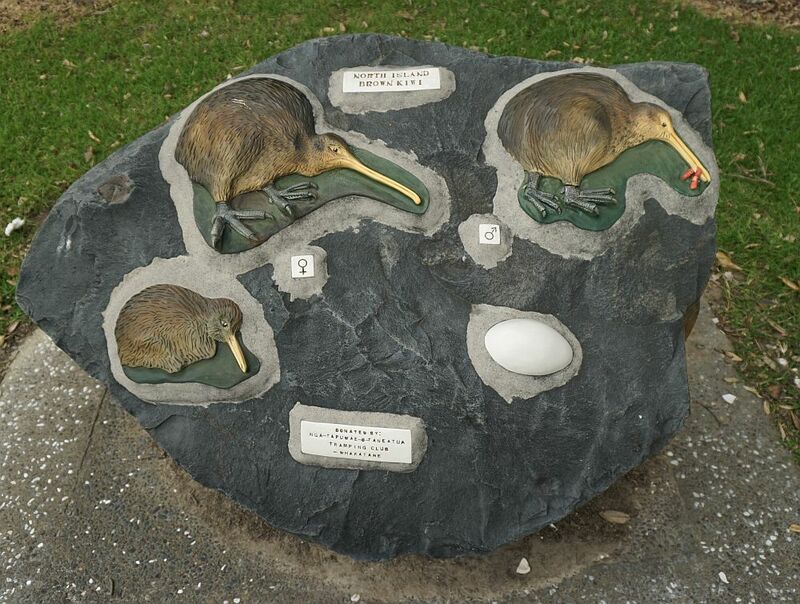 A sculpture near the entrance shows the relative sizes of the kiwi and their eggs. Information panels at the entrance to the track. There are other information panels at various locations along the tracks. 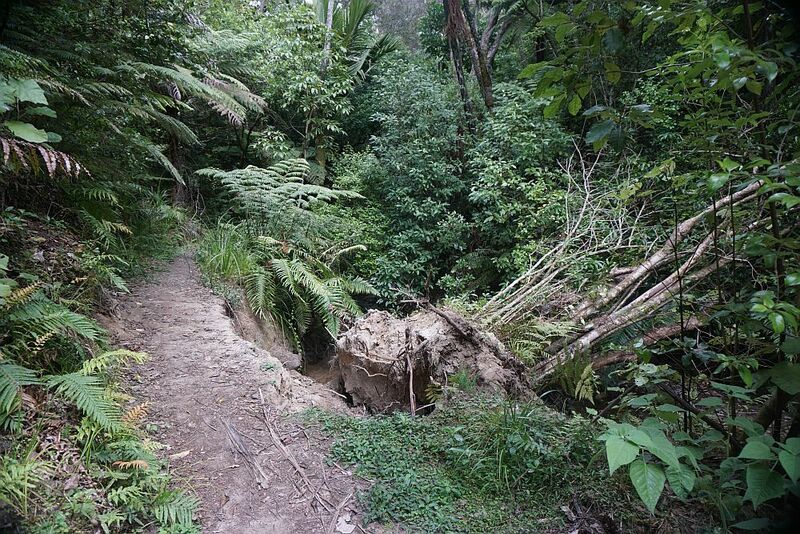 A short distance from the start of the track, it splits in two to form part of the Fairbrother Loop Walk. The two parts join again at the continuation of Nga Tapuwae o Toi. According to the pointers, the left (eastern) branch is a 20 minute walk and the right (western) branch is a 25 minute walk. So about 45 minutes in total for the Fairbrother loop. At the junction there is an information panel about the Kiwi Project. The tracks are all well formed. 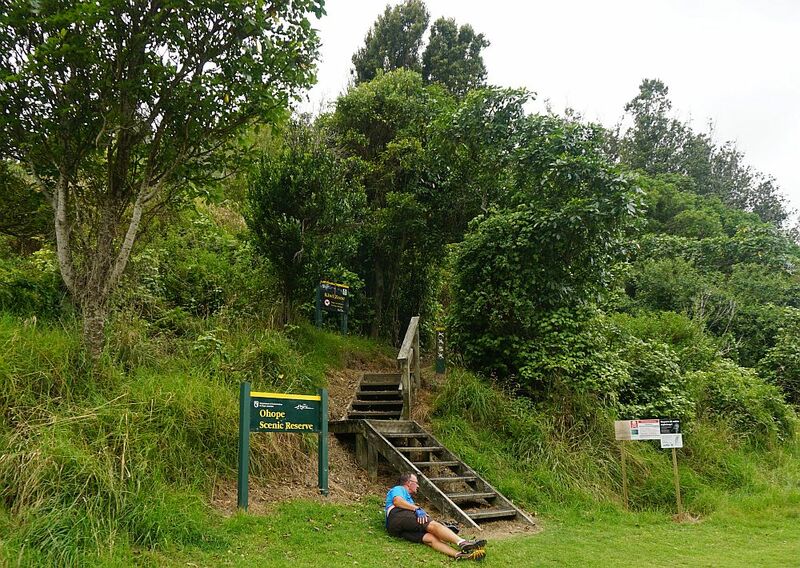 On both branches of the Fairbrother loop there are numerous steps, but from the top of the loop to Burma Rd there are no steps, only gentle slopes. The western branch follows a small stream for part of the way. Here being eroded, presumably after heavy rainfall. 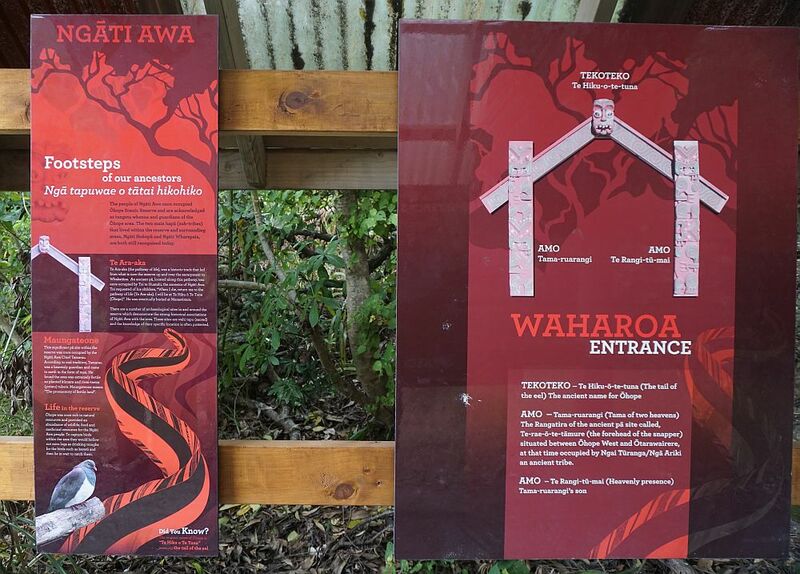 The information panels along the tracks have cutouts at the top, representing branches of Pohutukawa trees. 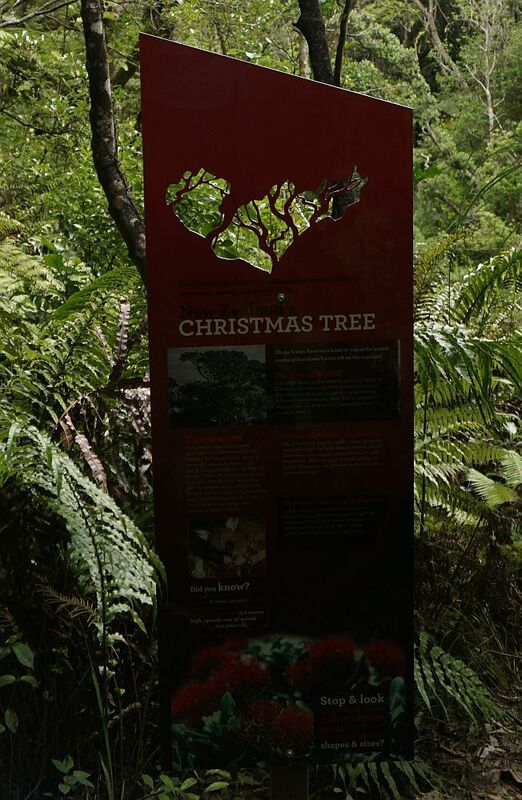 This one also has information about Pohutukawa, or Christmas trees. 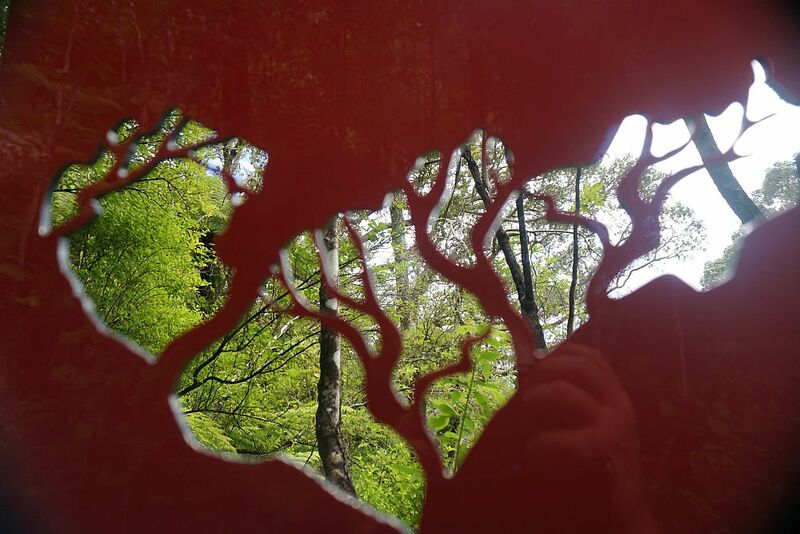 Pohutukawa trees seen through the information panel cutout. Unfortunately they were not flowering. 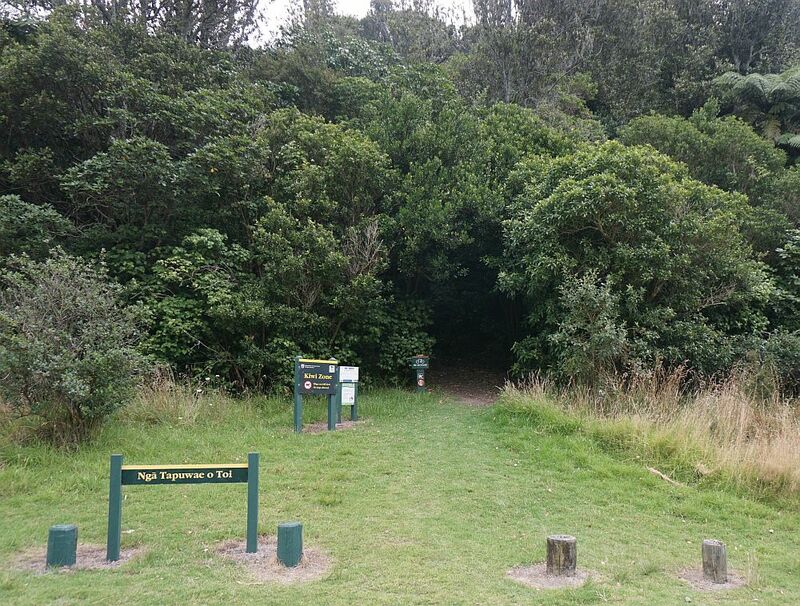 The top junction of Fairbrother loop, with the track to Burma Rd marked as a 45-minute walk. 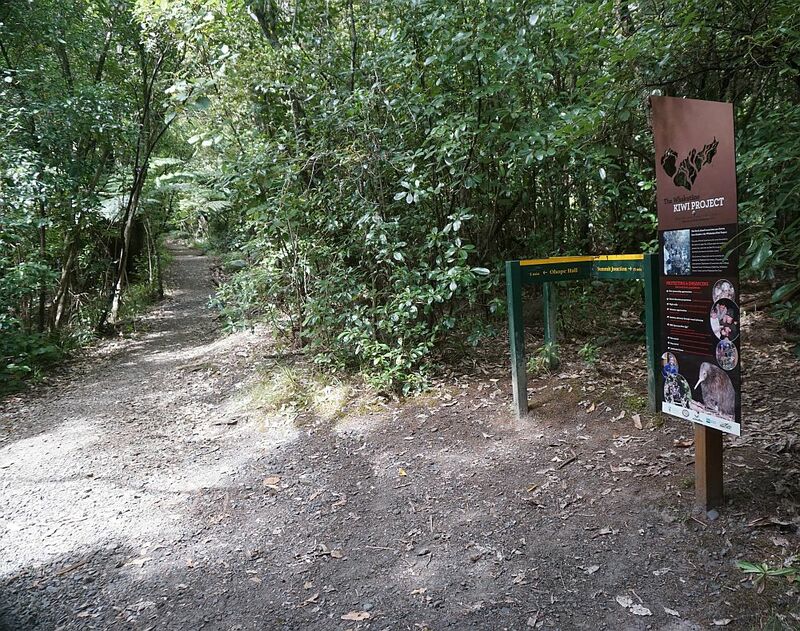 There is an information panel with information about kiwi and predators. 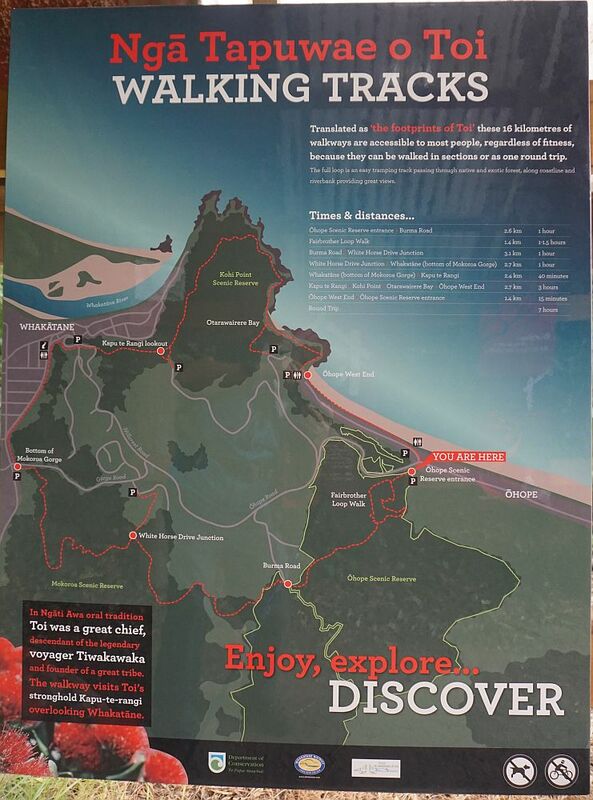 Another information panel with a description of our weird but wonderful kiwi. Someone has made use of a tree trunk which had fallen across the track. 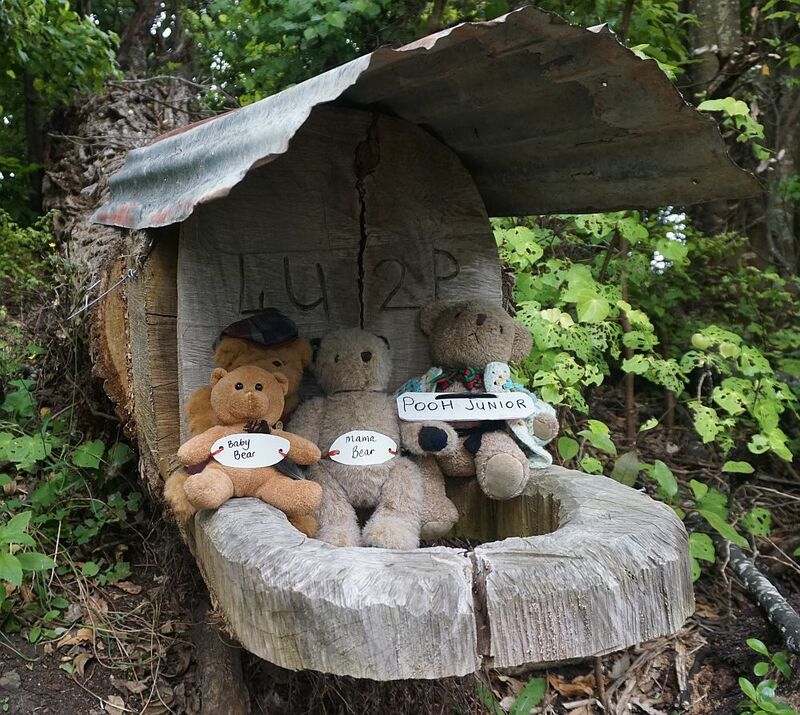 A ‘toilet seat’ has been carved in the log, and a selection of bears provided. 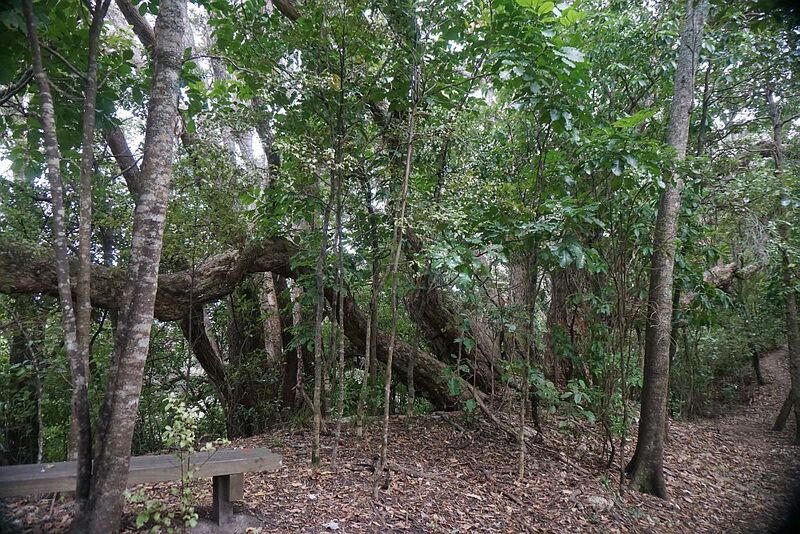 A bench seat has been provided with a good view of two large, multi-trunked Pohutukawa. The track exit at Burma Rd. 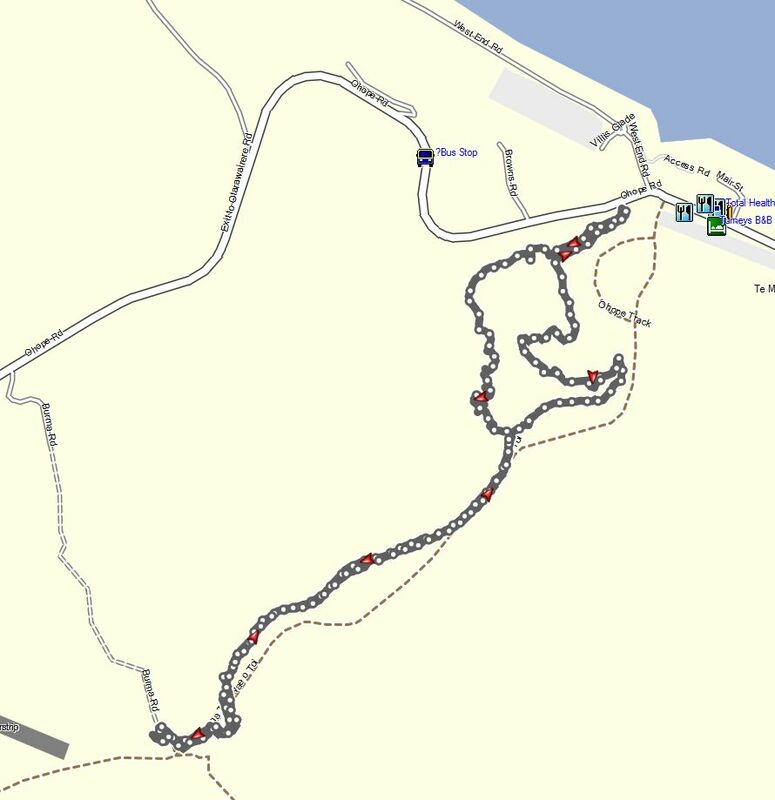 Bikes are not permitted on Nga Tapuwae o Toi, but most of Burma Rd is closed to traffic except for bikes and pedestrians. A biker is resting and waiting for a biking companion to arrive. The continuation of the track at Burma Rd towards Whakatane. 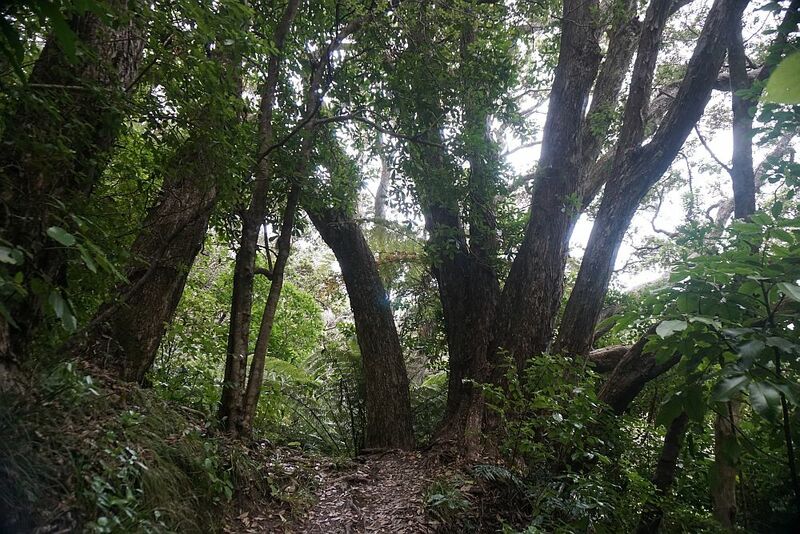 The track passes between a number of large Pohutukawa trees on the eastern branch of the Fairbrother loop. It should be spectacular to walk here during the flowering season. 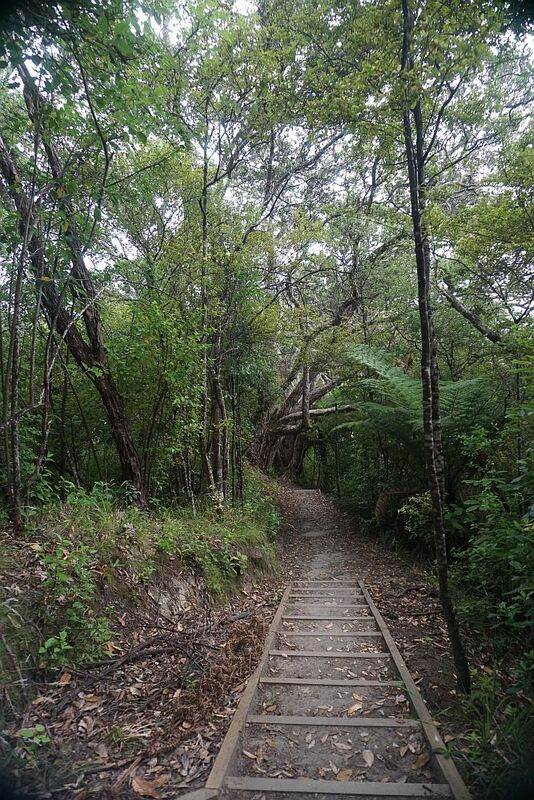 Steps on the eastern branch descending to more large Pohutukawa trees. 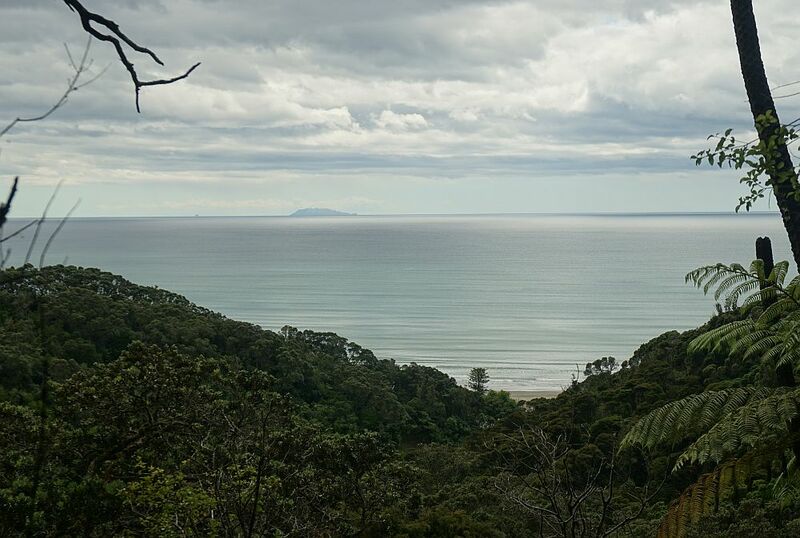 The ocean is visible through the trees in a couple of locations on the eastern branch. 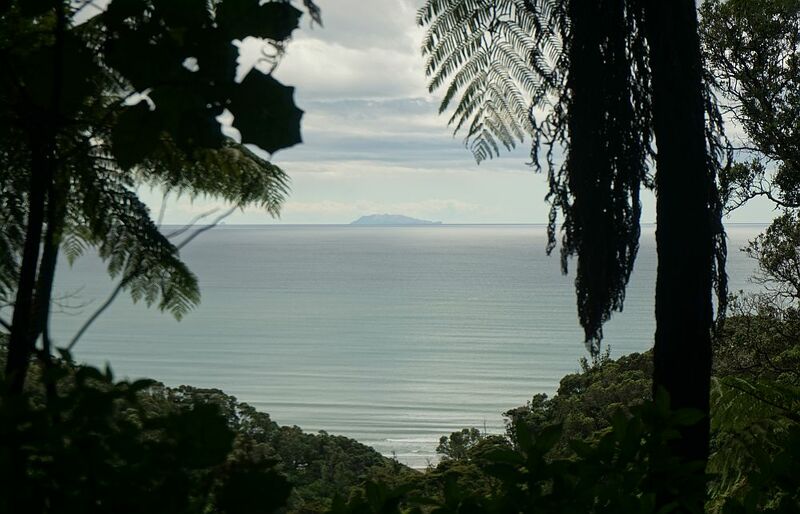 White Island can be seen in the distance. 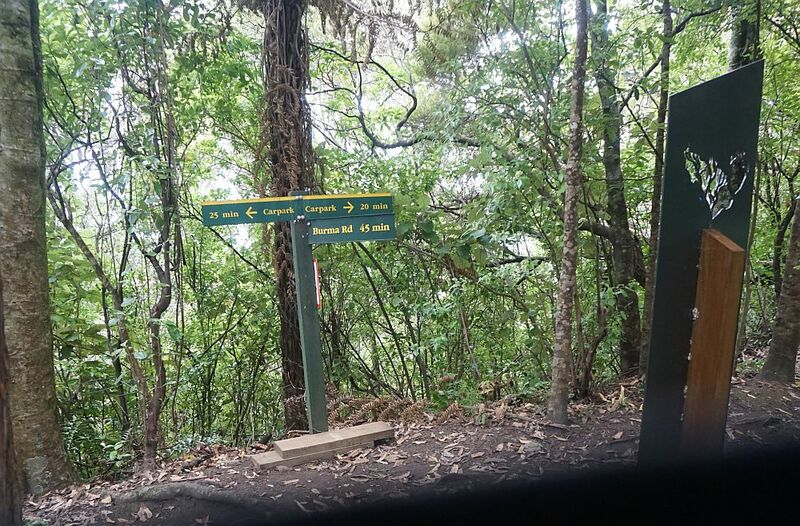 The GPS track log shows the route taken, up the western branch of the Fairbrother loop track, then Nga Tapuwae o Toi to Burma Rd and back, followed by the eastern branch of the Fairbrother loop. Total distance about 5.2km and total time was 1h 40m, or about 35 minutes faster than the posted times on the track markers. From the top of the Fairbrother loop to Burma Rd and back took about 45 minutes. The track was walked on February 14, 2015.